If you are a parent already, you will no doubt be familiar with the various 'milestone cards' used to chart your baby's achievements...usually via strategic placement of said 'card' next to baby ( or toddler), snapping away and then editing the hell out of your photo until baby looks perfect and your Instagram world looks nothing short of rosy, milk smelling, powdery puffs of perfection. No body bought me any - and I didn't get dressed for weeks after birth, let alone do any shopping. I just edited my photos with text! Milestone cards which are a little bit more 'honest' give you permission to be the same. THIS HAS NEVER EVER HAPPENED. The great news is these 'mini moments' milestone cards, charting the highs and the lows of parenting do actually exist! 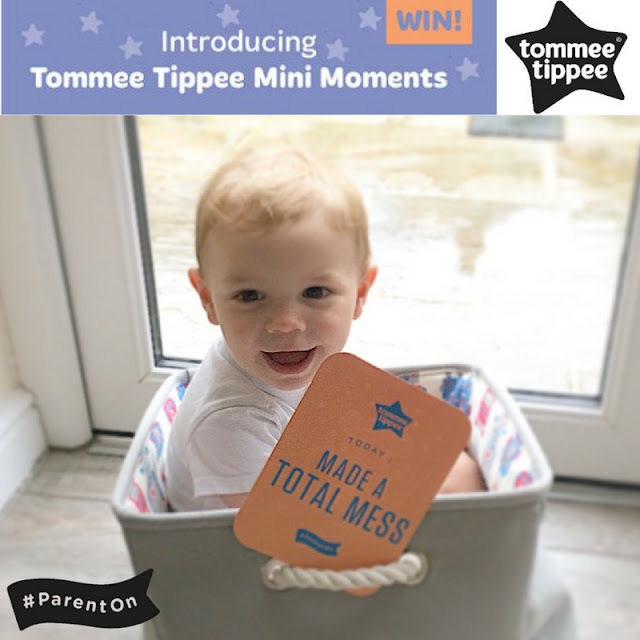 Tommee Tippee® have produced a set called Mini Moments which includes 20 beautifully illustrated cards to capture those momentous occasions and 20 real-life cards to capture the often humorous lows of parenting. So how can you get a pack of these little rectangular trophies, in order to celebrate those momentous occasions and disastrous lows??? More info available on their Facebook page. Secondly, guess who else has some to give away too?? Yes, that's right - I do! 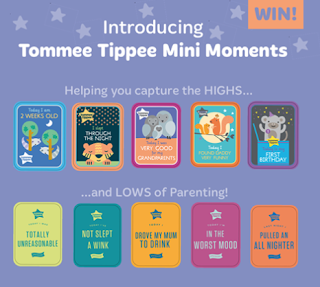 I have 5 packs of Tommee Tippee Mini Moments milestone cards to giveaway - you don't have to be a parent already, they make great gifts, and parents with toddlers will probably also appreciate most of them. Arthur is 19 months old and I am still waiting on a few 'highs' and regularly dealing with a number of 'lows'! NB: I'd also like to suggest that a number of these cards could also be used for photos of your spouse, or even yourself...." Today I'm in the worst mood" resonate with anyone? I have not used it before with my two kids. But yeah they look so cute and fun too. #KCACOLS. We'd have used that one a few times when Arthur was little!!! card for learning to use the remote control whilst still learning to walk!!! Now that's a skill! What is it about remote controls?! Used my tablet/phone for first time!